Both problems have the same source, namely the new distributor, DHL, which KFC should have cursed its name and torn itself down before ever agreeing to meet with in the first place. Interestingly, while the KFC social media team had been extremely forthcoming and goodnatured about the chicken crisis, no word from them yet on the gravy situation. They’re probably just tired. 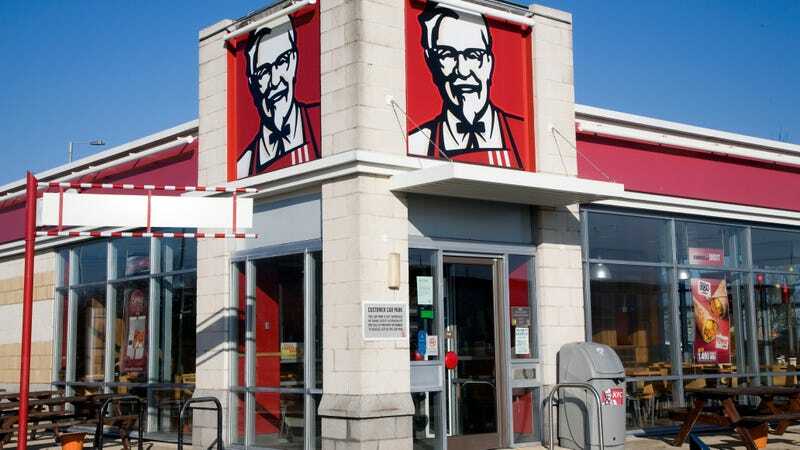 But a spokesperson for KFC owner Yum brands told Reuters, according to Fortune, “We’re working as hard as we can to get this sorted out. We know that our gravy is a big favorite!” the spokesperson said. KFC’s U.K. and Ireland Twitter feed, which of course we have been following with bated breath, announces today that it is “knackered.” But still, 90 percent of KFC restaurants are up, even with limited menus. As the new pinned tweet puts it, “Happy Fry-Day”! Meanwhile, KFC’s U.K. and Ireland Twitter feed reports that 70 percent its restaurants are back up and running, emphasizing that “none of our team members will lose out financially this week.” It says that the chickens are now “winging their way around the country,” proving that the KFC social media staff still has a sense of humor even in this time of calamity. TUESDAY, FEBRUARY 20 UPDATE: KFC’s U.K. and Ireland Twitter feed announces today that the chickens have reached Ireland. This unfortunately has done little to soothe other U.K. customers, who hopefully will receive some chicken relief shortly, and are happy to offer some poultry-based puns in the meantime. As of a few hours ago, KFC announced that some emergency chickens are on their way.